Batavia, OH – One way that you can better prepare yourself for an emergency or disaster is to create a family communications plan. Families are not always together when disaster strikes, so having a communications plan is essential. To help in the planning process, FEMA has created family plan checklists. 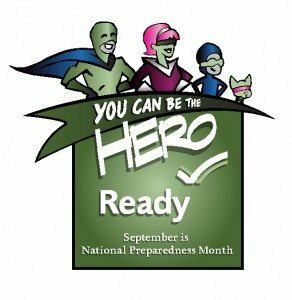 Complete the plan, and then fill out a contact card for each member of the family to keep in a wallet, purse, or backpack so it will be readily available during an emergency. Have an out-of-town contact that you and your family members can call during an emergency. It may be easier to place an out-of-town call than a local one. American Red Cross developed a website, Safe and Well, which allows those affected by disaster to post messages to let friends and family know they are safe. Text messages will often get through overloaded phone networks even when a voice call cannot.